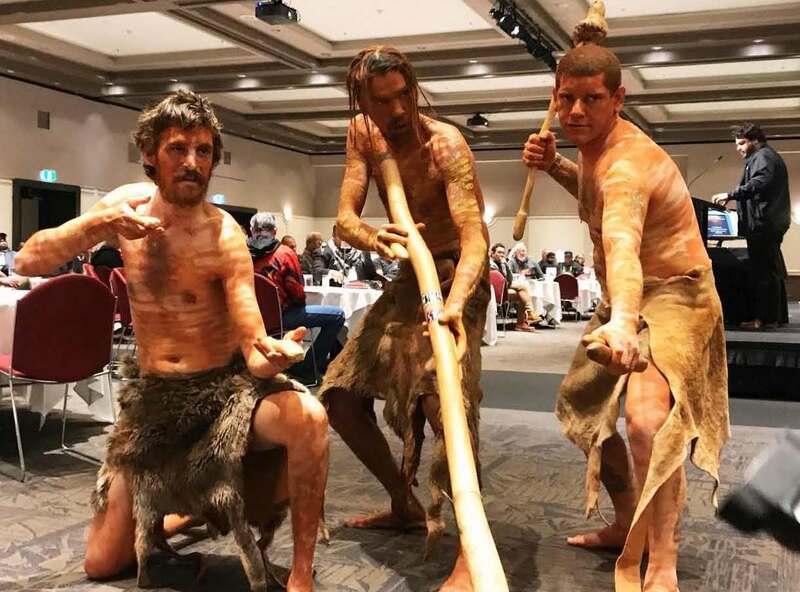 ← NACCHO Aboriginal Male Health News Alert : Our #OchreDay2018 Conference opens in Nipaluna (Hobart ) today with theme Aboriginal Men’s Health, Our Way. Let’s Own It! 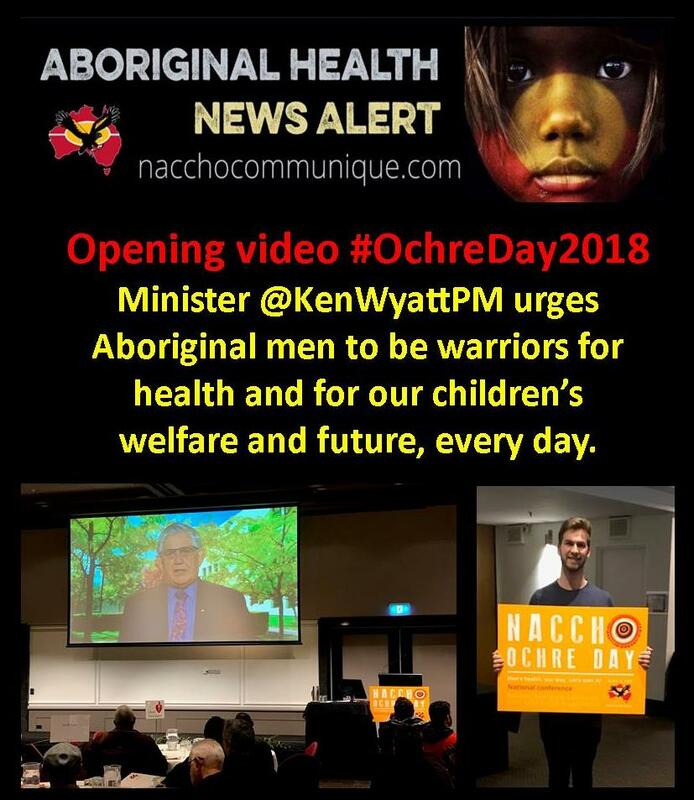 NACCHO Aboriginal Male Health : Opening video #OchreDay2018 Minister @KenWyattPM urges Aboriginal men to be warriors for health and for our children’s welfare and future, every day. 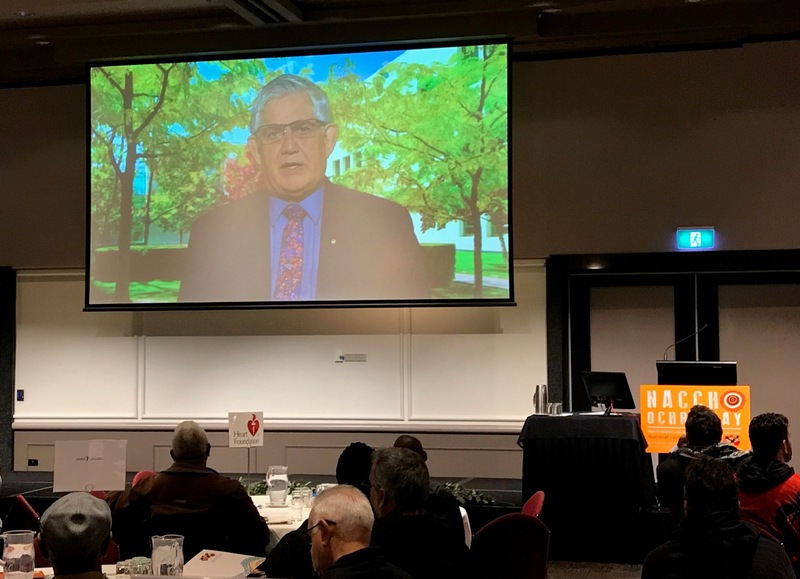 ” In the context of NACCHO Ochre Day — with its focus on men’s health — we need Aboriginal and Torres Strait Islander men to continue stepping up across the board and being the warriors they have been for 65,000 years. If we are to truly transform the health status of our First Australians, we need every Aboriginal and Torres Strait Islander man to take responsibility and be proud of themselves and their heritage — proud of the oldest continuous culture on Earth, and the traditions that kept us healthy, from the very beginning. Aboriginal and Torres Strait Islander culture must also be front and centre of the early years of our children’s lives. It must be an integral part of our children’s early learning and quest for knowledge. And our fathers, grandfathers and uncles — as well as our mothers, aunties and grandmothers — must play a key role in protecting our children. Our men, in particular, must be warriors for our children’s welfare and future, every day. Today 200 + delegates at the Ochre Day Conference –Men’s Health, Our Way. Let’s Own It heard an address from The Hon. Ken Wyatt AM MP, Minister for Aged Care and Indigenous Health. The Minister highlighted that “This Day shines a light on the issues that affect the social and emotional health and wellbeing of Aboriginal and Torres Strait Islander men. He asks them to become “home-based heroes — modern-day warriors for health and wellbeing — who are crucial in Closing the Gap in the health outcomes experienced by our First Peoples. Recently John Singer attended the Council of Australian Governments Health Council meeting in Alice Springs, when it made two critical decisions to advance First Nations health. Firstly, it has made Aboriginal and Torres Strait Islander health a national priority, including by inviting the Indigenous Health Minister to all future meetings. The Council also resolved to create a national Indigenous Health and Medical Workforce Plan, to focus on significantly increasing the number of First Nations doctors, nurses and health professionals. John Singer was also grateful that the former Turnbull Government has just committed $3.4 million over the next three years, to develop the Aboriginal Health TV network. It is an anticipated that this will deliver health and wellbeing messages through television screens in 144 Aboriginal Community Controlled Health Services, reaching up to 1.2 million people each month. Local community TV production will be fostered and encouraged, to ensure that the broadcasts are relevant and engaging for their audiences. Health messages will be delivered on issues such as smoking, eye and ear checks, skin conditions, diet, immunisation, sexual health, diabetes and drug and alcohol treatment services. Ochre Day is an important Aboriginal male health initiative to help raise awareness as well as provide an opportunity to draw national public awareness to Aboriginal male health and social and emotional wellbeing. Good morning. In West Australian Noongar language, I say “kaya wangju” – hello and welcome. I acknowledge the Muwinina people, on whose land you are gathered today, and pay my respect to Elders past and present. Apologies that I am unable to join you in person — but I am grateful for the opportunity to address you about the critical importance of men’s health. I congratulate the National Aboriginal Community Controlled Health Organisation for the leadership it has shown in raising awareness of the importance of the health of First Nations men, through the creation of Ochre Day. This Day shines a light on the issues that affect the social and emotional health and wellbeing of Aboriginal and Torres Strait Islander men. This summit provides a welcome opportunity for all of you to hear the latest health and medical developments, share ideas — and learn more about how, together, we can improve the health of our men. I believe that the word “ochre” perfectly encapsulates the way forward, to secure lasting change. For thousands of years – and still today – ochre has been a marker of tradition and respect. It has been dug up and used from time immemorial, to help tell our stories through decoration, dance and painting. Like ochre, respect for culture will, I believe, play a vital role in improving the health of our First Nations people. For at least 65,000 years, our societies have been family oriented, with responsibilities shared between men and women. Women playing their key roles as mothers and protectors. But equally, men, playing their parts as father figures and family shields. Because I believe that home-based heroes — modern- day warriors for health and wellbeing — are crucial in Closing the Gap in the health outcomes experienced by our First Peoples. And in the context of Ochre Day — with its focus on men’s health — we need Aboriginal and Torres Strait Islander men to continue stepping up across the board and being the warriors they have been for 65,000 years. In a targeted manner, the development of local warriors has taken a significant step forward this month, with the new Hearing for Learning initiative, launched in the Northern Territory. As you know, the alarmingly high rates of childhood ear infection in both regional and urban communities can hinder our children’s development and limit their opportunities as adults. First Nations children suffer an average of 32 months of hearing loss compared with three months for other Australian children, as well as unacceptably high levels of otitis media. A healthy ear one day may show signs of infection the next. While doctors and specialists attend many communities and work hard with families to protect hearing, we need local people to continuously monitor our children’s ears and maintain strong messages about the importance of ear health. With almost $8 million from the Turnbull and Northern Territory Governments, and the Balnaves Foundation, the Hearing for Learning initiative will develop a network of up to 40 ear health warriors, to do just that across 20 communities. They will be local people, speaking their local languages, and living with and communicating directly with local parents and families. They will strengthen and complement the work of fly-in fly-out ear specialists and protect the hearing of up to 5,000 children from birth to 16 years old. Hearing for Learning aims to dramatically lift the capacity of families and communities to identify ear disease within the first few months of life and then maintain vigilance. These ear health warriors will integrate with existing primary care services, assisting health professionals to diagnose and manage ear disease and where necessary, to refer children for specialist treatment. I hold considerable hope for this project, and I believe there is potential for it to be replicated across other states and territories, once the implementation has been proven. Building on this local warriors theme, I attended the Council Of Australian Governments Health Council meeting in Alice Springs earlier this month, when it made two critical decisions to advance First Nations health. Firstly, it has made Aboriginal and Torres Strait Islander health a national priority, including by inviting the Indigenous Health Minister to all future meetings. Secondly, the Council resolved to create a national Indigenous Health and Medical Workforce Plan, to focus on significantly increasing the number of First Nations doctors, nurses and health professionals. This is about more Aboriginal doctors, nurses and health workers on country and in our towns and cities. While it will be positive for creating First Nations jobs across Australia, it has particular potential for tackling chronic disease and improving the lives of people in remote communities. This plan is a high priority and we can expect further announcements to bolster the local Aboriginal health workforce in coming months. I would also like to highlight another national project which I believe has great potential to help improve men’s health awareness. The Turnbull Government has just committed $3.4 million over the next three years, to develop the Aboriginal Health TV network. This will deliver health and wellbeing messages through television screens in hundreds of Aboriginal Community Controlled Health Services, reaching up to 1.2 million people each month. Local community production will be fostered and encouraged, to ensure that the broadcasts are relevant and engaging for their audiences. Health messages will be delivered on issues such as smoking, eye and ear checks, skin conditions, diet, immunisation, sexual health, diabetes and drug and alcohol treatment services. The new network will also use social media sites such as Facebook, Instagram and YouTube to extend its reach and engagement. Its potential is vast, and I encourage everyone to consider how the network could be used to engage local men and help them understand how they can improve their health. The Turnbull Government’s commitment to working and walking together for better First Nations health is absolute. The Government has also initiated development of a National Male Health Strategy for the period 2020-2030. Building on the 2010 National Male Health Policy, a key consideration of the new Strategy will be addressing the specific health needs of Aboriginal and Torres Strait Islander men and boys. I look forward to hearing how your work during this two-day summit can inform the strategy. Like every one of you here today, I am deeply committed to Closing the Gap. Fundamental to this is the continuous improvement of the health of our First Nations men. 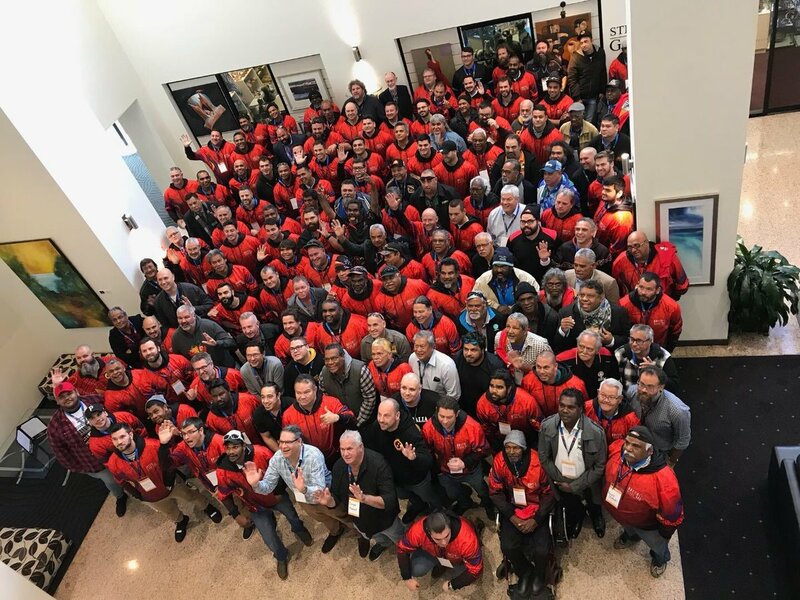 For now – and for the future – let’s join together with local men across the nation and support and encourage them to go forward as warriors for health.